Pioneers in the industry, we offer cylinder liners, engine cylinder liners and diesel engine cylinder liners from India. 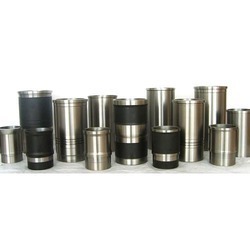 We have marked a distinct position in the domain by manufacturing, trading, exporting and supplying the finest quality Cylinder Liners. Our offered liners are manufactured by our dexterous professionals using best quality raw material and innovative technology in line with international standards. These liners are widely used in tractors, engine, generators and compressor. Our offered liners are much-admired by the clients due to their remarkable features. Provided liners are available in various sizes and specifications in order to fulfill the needs of our customers. 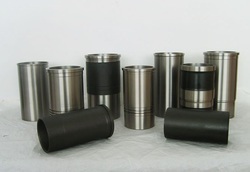 We are a trustworthy manufacturer, trader, exporter and supplier of a superior quality Engine Cylinder Liners. These offered liners are manufactured using superior quality raw material that is procured from reliable vendors of the market. Further, we test these liners on various parameters to ensure its excellent quality. Our offered liners are highly demanded all over the national and international market. These offered liners are widely used in several industries such as chemical, engineering, refineries and oil industries. Our clients can avail these liners at market leading prices. 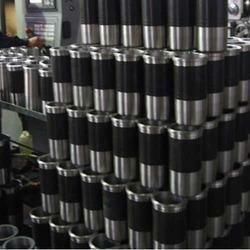 We are recognized as the prominent manufacturer, trader, exporter and supplier of a wide array of Cylinder Liner. Our offered linear is widely used for heavy machines. This liner is manufactured using qualitative raw material that is procured from the reliable vendors of the market. Our quality controllers strictly check this liner on different parameters to ensure its defect-free nature. This liner is available in different sizes as per our client’s requirements. Moreover, our esteemed clients can purchase this liner from us at market leading prices.